What’s UNOH all about? It’s about relevant, real-world education from day one. It’s about working alongside passionate instructors and students. It’s about providing you with the tools and resources needed to become a successful professional in the career of your dreams! UNOH will give you the power to do big things and we provide this power by delivering accredited academics at an affordable price with small classes, a rich campus environment, industry relationships, and so much more! Classes at the University of Northwestern Ohio are, on average, limited to 25 students. This means you will receive an individualized education with personal attention from your instructors and professors. One-on-one attention from day one all the way through graduation. You won’t be just a number at UNOH, your professors will know you by name and be as invested in your success as you are! Get a feel for your future! UNOH gives you real hands-on experience. In the College of Applied Technologies, 70% of the time you’ll be rolling up your sleeves doing hands-on work in the classroom and the shop, the other 30% is spent learning the theory behind the technology from the best in the business. In the Colleges of Business, Health Professions and Occupational Professions, get experience in labs and learning from professionals working in the industry. Make connections that can lead to future employment following graduation! As part of your time at UNOH you’ll get the opportunity to meet many different professionals working in the industry of your choice. Make connections with these people and find internships with them. Many of our students have job offers waiting for them after graduation. You could too! Here you can take classes at your own pace. Bachelor Degrees can be completed in as little as 3.5 years and Associate degrees can be completed in just 18 months! UNOH offers classes in the morning, afternoon or evening, providing flexibility to work around almost any work schedule. Many classes are available online as well, giving students the opportunity to make the most out of their day if they have family or employment obligations outside of classes. Gain and apply industry knowledge. Experience and learn from different cultural perspectives. Receive personal references who can help students find their dream jobs. Build connections with award-winning faculty and industry professionals. Possess the ability to operate current technologies, including software and equipment. Secure relevant skills such as leadership, team building, critical thinking, problem solving, decision making, effective communication, and proficiency in computer applications. On average, UNOH tuition and housing costs are lower than other public and private universities in Ohio! 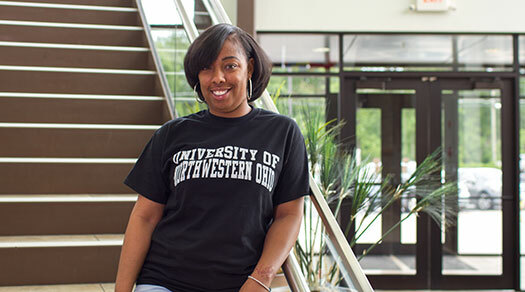 At the University of Northwestern Ohio you’ll experience a rich co-ed campus environment featuring year-round student activities, on-campus housing opportunities, and more than 30 student clubs and organizations. 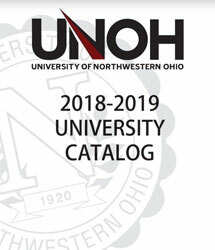 UNOH also includes collegiate athletics, an Indoor Athletic Complex, and Racers Station, a student lounge built with you in mind that serves as a home base for a majority of the student events on campus. UNOH attracts student from around the world with more than 4,500 students attending from 40 states and 36 different countries. You’ll meet students from around the world all while enjoying classes and campus life. Want to see more of what your life will look like outside of classes? Check out this video.